Colourful, bright & Green, a great way to start your morning! Why is this Veg/Fruit juice so great? Well it’s filled with countless health benefits, loaded with vitamins, has about the same amount of protein as a morsel of meat and is refreshing with a hint of sweetness all at the same time. At the same time, what’s in this glass may not be to everyone’s taste, however, I do highly recommend it as a morning drink. It has amazing detoxifying, rejuvenating & refreshing properties, leaving you full, fresh, awake and ready to start your day. Cold water to thin out as per preference. 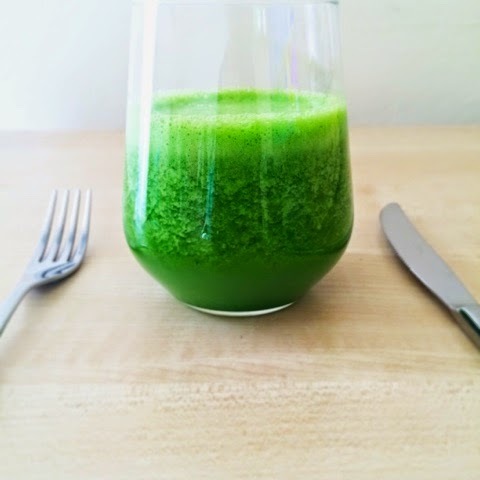 Mix the blended spinach with the juice items, give it all a quick stir & there’s your greenie. It’s all quite so simple really. ← 21 Day Cardio Challenge – Week 1 Update.